This is always the wood of choice to line your humidor. It is very stable, responds well to changes in humidity. Although it is actually a mahogany, it gives off a "cedar" like aromatic that is the appeal for humidor manufacturers. 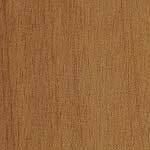 It is a nice rich, reddish to medium brown colour, and fairly straight grained. Don't leave it to just the humidor makers though, as it is a beautiful stable wood for scroll sawing and any other small woodworking projects. It is easy to work with, planing and routing like a charm. Probably a good idea to wear a dust mask while working with it, as the dust catches in your throat and leaves an awful taste.